The male pattern hair loss occurs due to the imbalance in the hormones. Genetics is also one of the important factors for male pattern hair loss. The reason for the female pattern hair loss is still unknown. The Alopecia or commonly called as baldness is due to the inefficiency of autoimmune. The telogen effluvium is thinning of hair is due to the undertaking of stressful works. The stress can be either physical or physiological. Thinning of hair is very common after pregnancy. This article explains how to regrow hair despite these problems. While some of the hair loss due to the above-mentioned causes cannot be treated, most of them can be cured using both artificial and natural methods. While the artificial method gives immediate effect, the cure comes along with a lot of side effects. 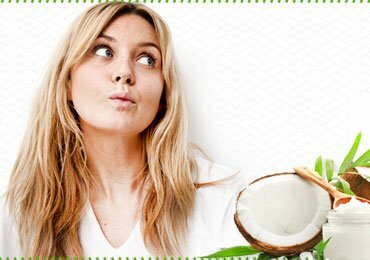 So the best solution for your hair loss problem is through natural methods. 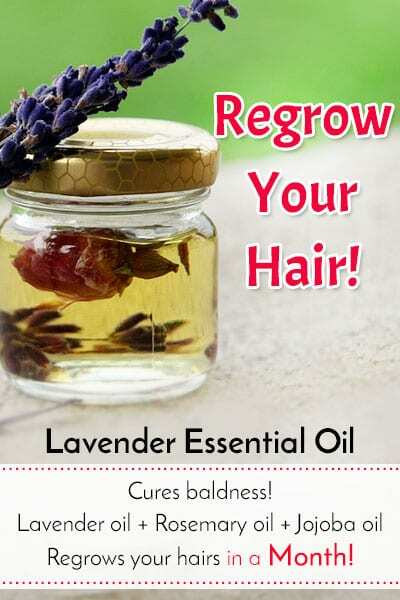 This article explains how to regrow hair through natural remedies. 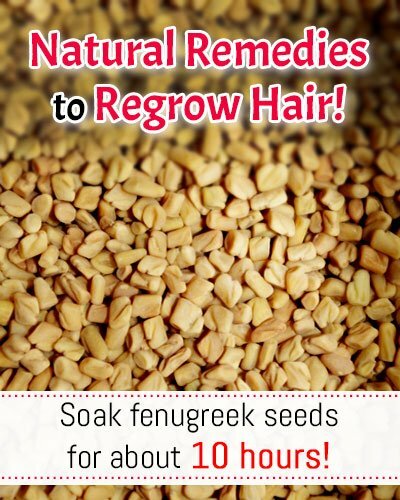 How to Regrow Hair Through Natural Remedies and Tips for Receding Hair Line and Baldness? Massage your hair with Castor Oil along with coconut oil. While the castor does not help you to regrow your hair, it helps in stopping the receding hairline. This treatment prevents the receding hairline problem. The medical studies prove that massaging the lavender essential oil into the scalp three times a week is effective for regrowing of hair for the male patients and baldness cure. You can prepare the natural lavender essential oil mix in the home. Mix 3 drops of lavender oil and 3 drops of rosemary essential oil. Along with it add 4 tablespoons of grapeseed oil and ½ tablespoon of jojoba oil. Stir the mixture well and keep it in a cool and dry location. Then add 2 drops of thyme oil and cedar wood. Test this mixture in one part of your scalp to make sure you are not allergic to any of these ingredients. If you don’t show any symptoms for 24 hours then start using the mixture. You will have hair growth in a few months. Using alcohol-free products will prevent drying of hair which can lead to hair loss. The Aloe vera has 20 minerals, 12 vitamins, 8 amino acids and 200 phytonutrients. This is one of the natural hair growth remedies and best answers your question to how to make your hair grow faster. The Aloe Vera has enzymes that help in removing the dead skin cells present in the scalp which in turn allows the nutrients to reach the hair. 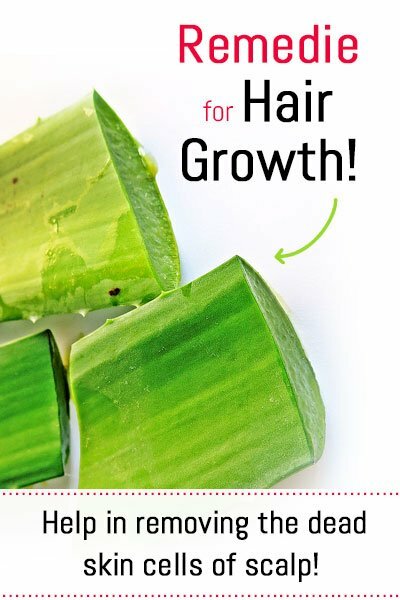 The pH level of the hair can be balanced by Aloe Vera. There are many ways to use Aloe Vera. You can directly apply the Aloe Vera and let it soak for at least 15 minutes or you can mix with essential oils. You can even add it to your shampoo if you don’t want to change yours to Aloe Vera containing shampoo. Eggs can be used in two ways. One way is to include it in your diet so both your body and hair gets all the nutrients and the other way is to use it as a hair pack. Eggs contain an adequate quantity of protein to help regrow hair. If you have oily hair then eggs white is best. 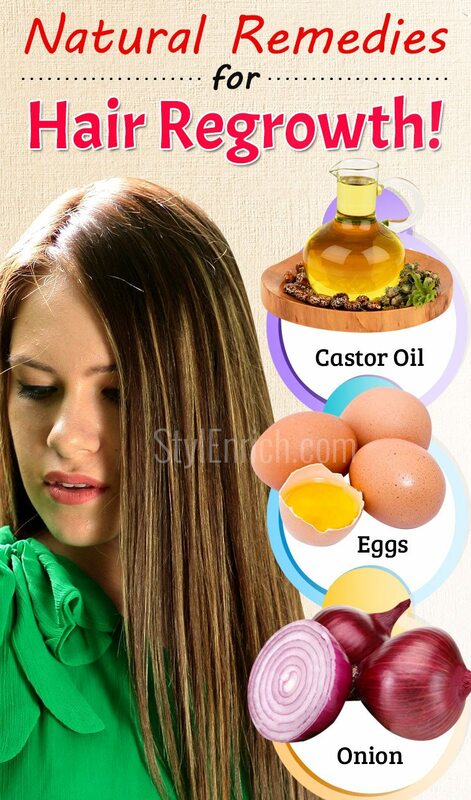 If you have dry hair then you should use the egg yolk. 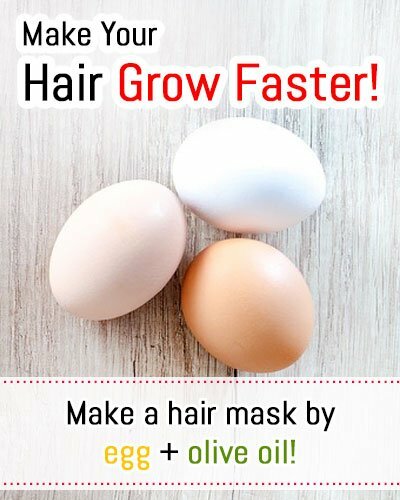 You can make a hair mask by adding egg with olive oil or other ingredients. You can use this twice a month. Avocado is rich in vitamin B and vitamin E which works at the cellular level to give you a thick and lustrous hair. 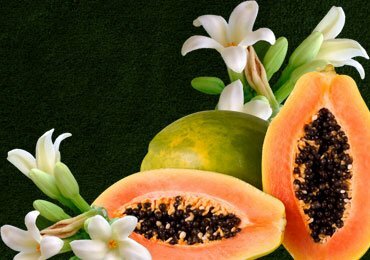 Vitamin B is essential for the growth of hair and Vitamin E helps to repair scalp damage. 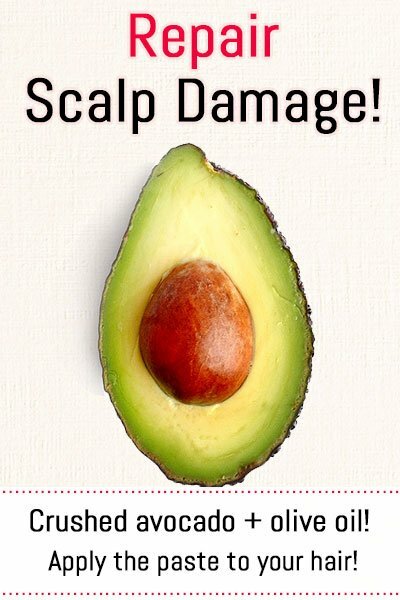 You can use avocado by crushing it and mixing it with olive oil and then apply the paste to your hair for soaking and this one of the best methods for how to regrow hair. The properties of the Indian Gooseberry include anti-inflammation, antioxidant, antibacterial and exfoliation. 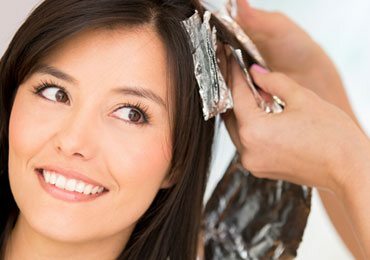 These properties help in attaining a better hair growth rate. 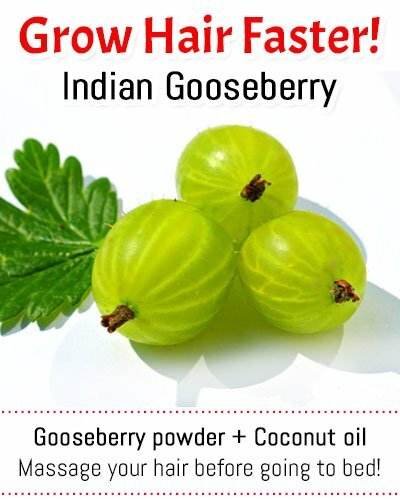 You can use gooseberry by powdering it and mixing it with coconut oil. Massage your hair with this mixture before going to bed and leave it until morning. You can also add warm water to gooseberry powder and soak your hair with this mixture for 20 to 30 minutes. The research has proved that hair fall is due to the absence of high sulphur protein. The methysulfonyl methane is the highly absorbable source of sulphur which is present in onion. Make onion juice with the help of a blender and strain it to use directly on your hair to soak. 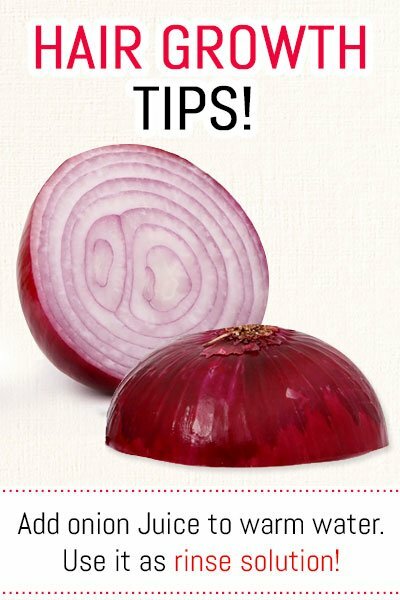 You can also add onion Juice to warm water and use it as rinse solution after your shampoo but the odour retains. You can use this method twice a month. This is the best way to prevent hair loss and fight dandruff. They have hormones that promote hair growth, also have protein and nicotine acid. 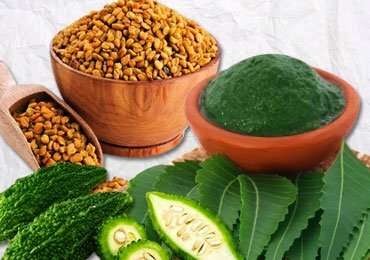 You have to soak fenugreek seeds for about 10 hours and make a fine paste with it. Then apply this paste on your hair and soak it for about 20 minutes before washing your hair. Grind fresh henna leaves to make it a powder and mix it with water to make a paste. Soak your hair with this paste for about 15 minutes before washing your hair with shampoo. 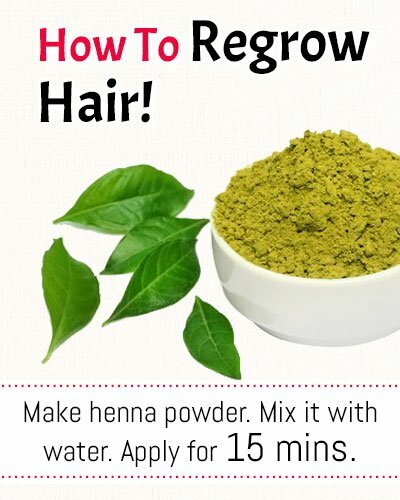 Henna leaves help to fight dandruff and promote hair growth. These are the most commonly and widely used natural hair loss remedies. All these ingredients are proven to be beneficial to your hair in different ways and help you in how to regrow hair, to cure baldness, and help your hair to grow faster. 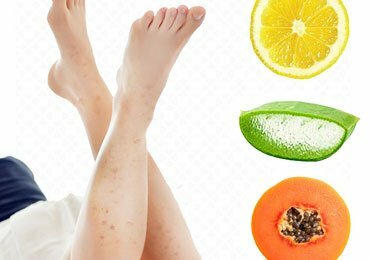 How to Get Rid of Dark Spots on Legs with Easy Homemade Recipes! Top 10 Natural Homemade Face Wash Recipes You Will Surely Love! 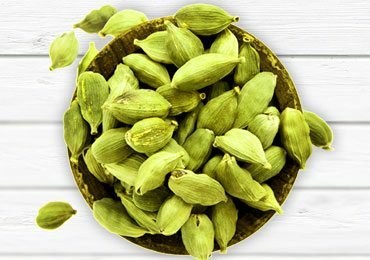 Cardamom Health Benefits That We Need to Know! 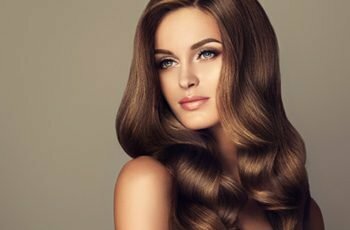 Awesome Herbal Hair Colour Tips and Techniques! 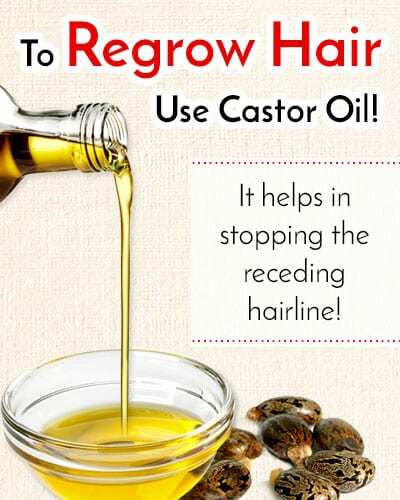 How to Use Castor Oil for Hair Growth? 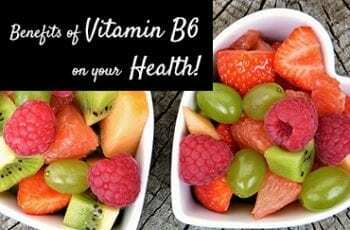 Do You Know Vitamin B6 Benefits for Your Overall Health? 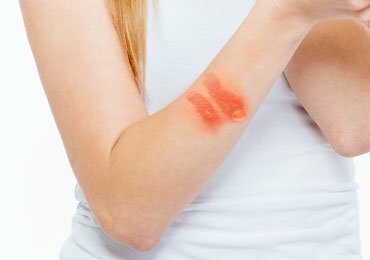 Why Eating Bitter Food Is Good For Health? Nice I will try it.